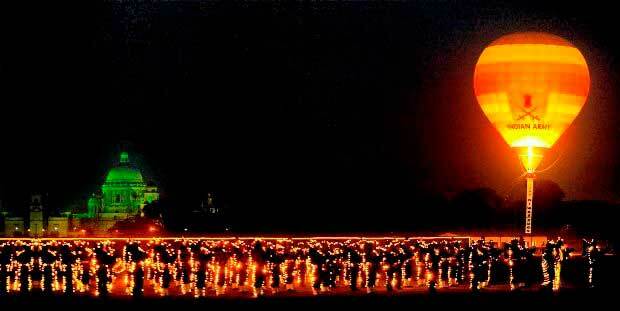 Army soldiers rehearse prior to wreath laying function at Amar Jawan Jyoti, India Gate in New Delhi on Wedensday on the occasion of Vijay Diwas, being observed to mark India's victory in the 1971 War, New Delhi. 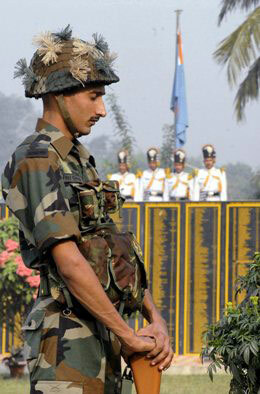 An army jawan pays obeisance to the martyrs, who laid their lives for India's victory in 1971 war against Pakistan, during the wreath laying ceremony on the occasion of Vijay Diwas, Kolkata. 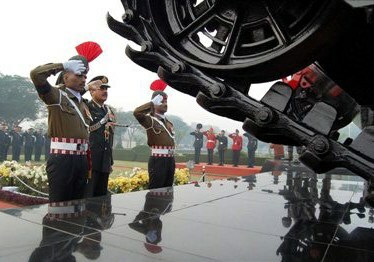 Defence Minister A K Antony alongwith three Services Chiefs paying tributes to 1971 War Heroes at Amar Jawan Jyoti, India Gate in New Delhi on Wedensday on the occasion of Vijay Diwas, being observed to mark India's victory in the war, New Delhi. 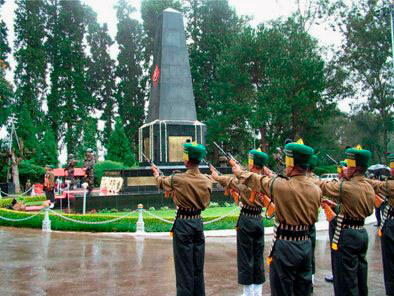 Army personnel fire in air to pay respect to martyrs of 1971 war against Pakistan on the occasion of Vijay Diwas, Coonoor. 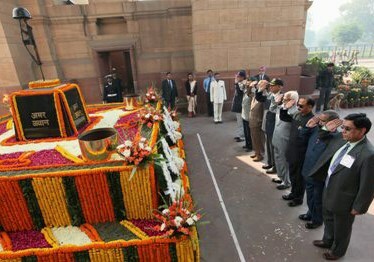 Ex-servicemen pay tributes to 1971 War Heroes at Amar Jawan Jyoti, India Gate in New Delhi on Wedensday on the occasion of Vijay Diwas, being observed to mark India's victory in the war, New Delhi. 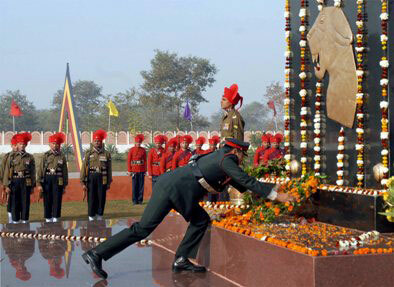 Army officers pay tributes to 1971 Indo-Pak War martyrs on the occasion of Vijay Diwas at Panther Division Sector Khasa memorial in Amritsar on Wednesday. 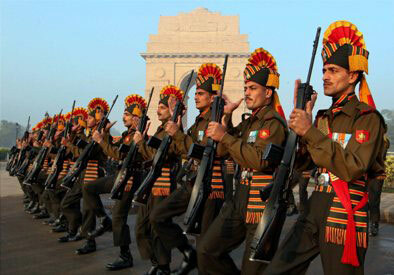 December 16 is being celebrated as Vijay Diwas to mark India's victory in the'71 war, Amritsar. 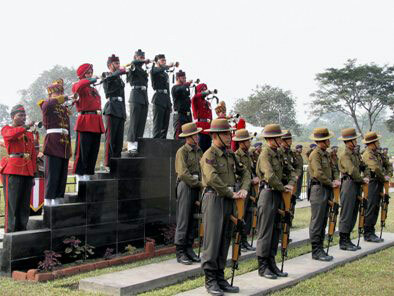 Army soldiers pay tributes to 1971 Indo-Pak War martyrs on the occasion of Vijay Diwas at Trishakti Corps in Sukna, Siliguri on Wednesday. Lieutenant General A K Singh, GOC Strike Corps, salutes martyrs of 1971 war against Pakistan on the occasion of Vijay Diwas, Mathura. 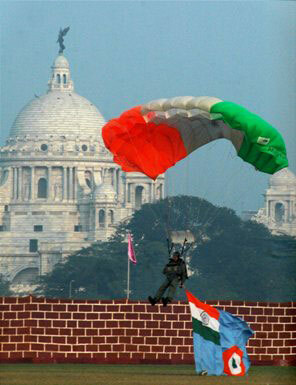 An army jawan performs a sky diving stunt, Kolkata. 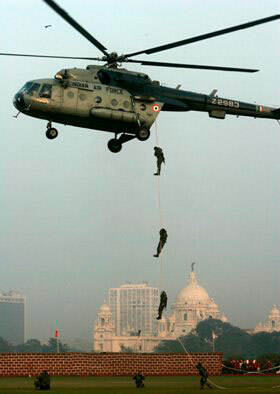 Army commandoes climb down a rope to show a mock operation during the celebrations ahead of Vijay Diwas, or Victory Day in Kolkata on Monday. Victoria Memorial Hall is seen in the background. Army Chief General Deepak Kapoor presenting keys of specially modified scooters to disabled soldiers in New Delhi on Wedensday during a function on the occasion of Vijay Diwas, New Delhi. 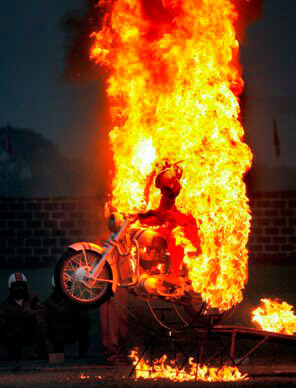 An army man performs a fire stunt as he rehearses for the Vijay Diwas, Kolkata. Army band display an LED show during the Vijay Diwas celebrations for victory in 1971 War against Pakistan, at RCTC in Kolkata on Tuesday.